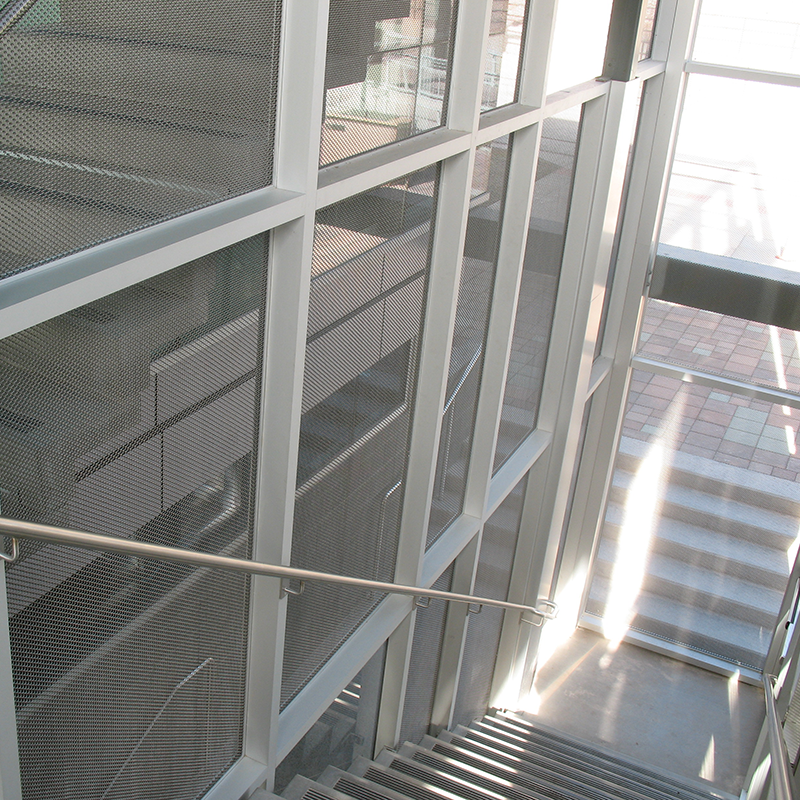 Coiled wire fabric makes for a superb railing infill that provides protection from falls while maintaining visual transparency for pedestrians. The fabric is lightweight but made from durable metal materials that provide a high-strength alternative to glass or traditional metal infill products. Coiled wire fabric infill systems are typically specified for parking garages, stairwells (interior or exterior), balconies, rooftop spaces or any other application requiring a high-strength, customizable, and aesthetically pleasing infill element. Fabricoil is a translucent fabric that is simultaneously open and closed, allowing individuals to see through the mesh for an optimized view of their surroundings.